Tony Vallone, center, with Elena Sgarbi, left, and Alessia Paolicchi, right, received the Maestro Martino Award from the Italy-America Chamber of Commerce in 2018. Photo courtesy of the Italy-America Chamber of Commerce. It’s not a stretch to call Tony Vallone a Houston restaurant legend. For over 50 years, he’s been the powerhouse behind Tony’s, the swanky Italian restaurant that’s long been a staple for foodies and the see-and-be-seen crowd alike. He also founded Vallone’s steakhouse in the Memorial area and Ciao Bello near the Galleria. He also started La Grigilia and Grotto before selling both to the Landry’s empire. 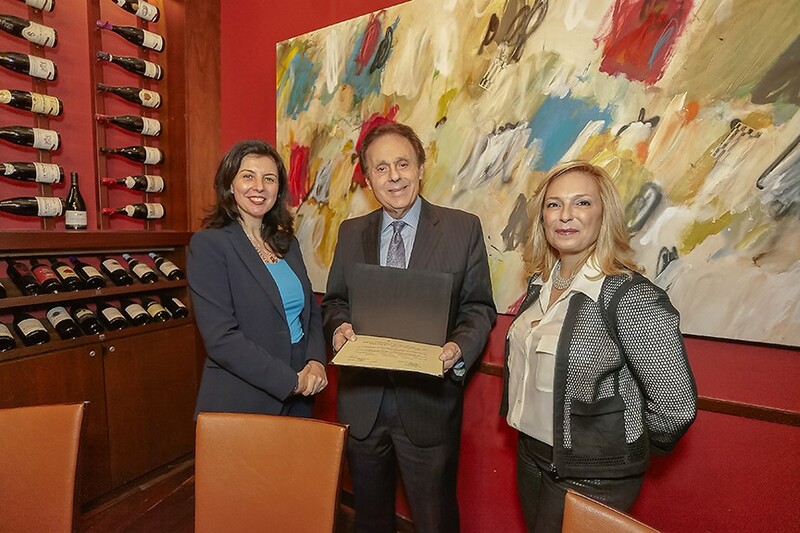 On February 28, Consul General of Italy Elena Sgarbi and Italy-America Chamber of Commerce (IACC) Texas director Alessia Paolicchi presented Vallone with the first-ever Maestro Martino Award for Excellence in the Italian Culinary Arts. 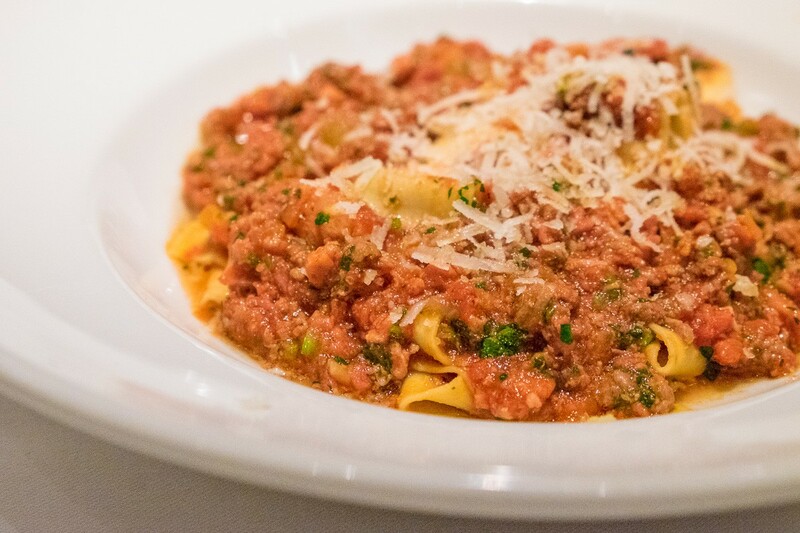 The award recognizes individuals who have contributed significantly to Italian gastronomy in the U.S.
A dish of authentic Italian pasta bolognese at Tony’s. Photo by Phaedra Cook. The award is named for Italian Renaissance chef Maestro Martino of Como, whose 15th-century recipe collection is considered the first modern cookbook. It’s also part of IACC’s ongoing efforts on behalf of the Italian government’s Extraordinary Italian Taste campaign which raises awareness of the differences between authentic Italian products (such as cheese, wine and cured meats) and the lesser-quality knock offs made elsewhere. About the author: Holly Beretto writes about food, wine, the arts and interesting people for a variety of local publications, including Downtown magazine and Houstonia. Her work has appeared in Arts + Culture Texas, Santa Clara magazine, Maui No Ka Oi, PRIME Living and the Arizona State University and St. Paul’s School alumni magazines. She is the editor of Pierce, the magazine of Franklin Pierce University and the author of Christ as the Cornerstone: Fifty Years of Worship at St. Michael the Archangel Catholic Church, published by Bright Sky Press. Originally from Rhode Island, she lives in Houston with her husband Mark Love.